When a young Bohemian immigrant arrived in New York City on a rainy June day in 1836 his hopes for priesthood were uncertain. 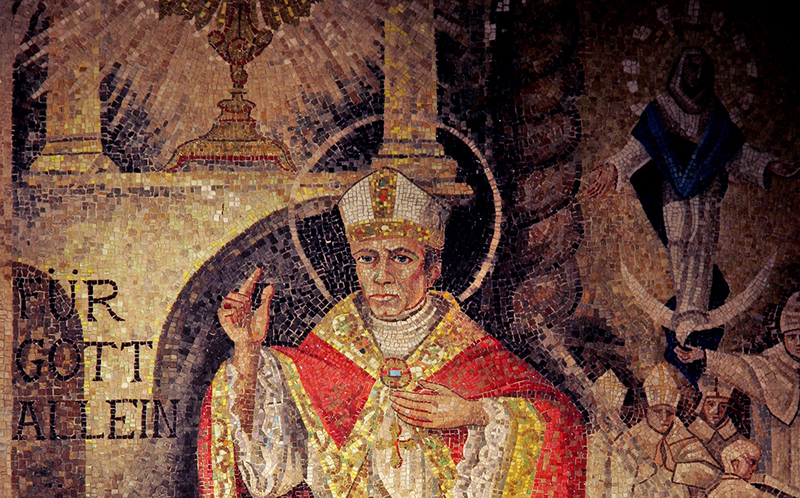 Due to an ordination moratorium imposed by his homeland’s government, St. John Neumann could not be ordained at home. Forsaking the comforts of home and family, desiring only his life’s oblation in love and service, Neumann chose to go to America. He read accounts of such storied missionaries as Frederic Baraga — a current candidate for sainthood — and he hoped to follow in their footsteps. Little did the young seminarian know when he set foot on American soil that the path God had in store would result in his canonization as the country’s first male saint. Born in modern-day Czech Republic in 1811, Neumann grew up in a devout Catholic home, and he had many siblings called to religious vocations. New York’s bishop John Dubois — the one-time advisor to St. Elizabeth Ann Seton — was impressed quickly by Neumann’s intellect and missionary zeal, ordaining him a priest within his first month in America. Dubois assigned him to regions near Buffalo, New York. While there, Neumann expressed how he faced many hardships and bouts with loneliness. Outwardly, he seemed successful, having established many parishes between Buffalo and Erie, Pennsylvania. But Neumann knew he needed a change. With the help of several priest-advisers, Neumann recognized his need for the support of a religious community to settle his troubled spirit, and he set out for the Redemptorist novitiate in Pittsburgh in 1840. Neumann proved himself to be a competent and talented administrator, responsible for finishing the building project at St. Philomena’s Church in Pittsburgh, where he ministered alongside a fellow Redemptorist, Blessed Francis Xavier Seelos. Neumann then went on to pastor several other churches, mostly in Maryland. A surprise came when Neumann was appointed the American provincial of his order in 1847, requiring a move to Baltimore, where he became a naturalized American citizen the following year. Administration of his order brought heavy burdens to Neumann since Redemptorists in America at the time tended to work independently. Neumann was chosen to provide unity among his brothers, and proved to be successful. In Baltimore, he also served as pastor of his order’s St. Alphonsus Church and provided much needed support to many religious orders of women in the area. Neumann’s talents as an administrator would change directions in his life yet again in 1852, when he was named fourth Bishop of Philadelphia by Blessed Pope Pius IX. He was ordained a bishop in Baltimore on his 41st birthday. Neumann received an overwhelming welcome in his new diocese, and he was immediately recognized as a fatherly, kindly and even saintly pastor. His legacy as bishop includes the establishment of the first American diocesan schools system, the founding of religious orders, starting the Forty Hours Eucharistic devotion, and care for the poor and the city’s booming European immigrants. Neumann led his flock courageously amid the rampant anti-Catholicism and anti-immigration prejudices of the Know-Nothing party. Neumann excelled in the virtues, most notably humility, without which he said “other virtues could be neither genuine nor permanent.” Neumann desired sanctity, praying at his first Mass, “Dearest God, give me holiness!” No matter what obstacles presented themselves in his life, Neumann responded with a total “yes” to God. Michael Heinlein is editor of Simply Catholic.